What can be said about Bob Dylan that has not been said before? To start, the man cannot sit still. Rock’s modern troubadour and nonpareil songsmith returned to Heinz Hall after three years Nov. 6. It’s a reminder to Pittsburgh that after a 55-year career, he won’t be writing songs about retirement any time soon. Dylan’s 2017 tour follows hard on the heels of two blockbuster releases, “Triplicate,” a three-part album of American standards, and “The Bootleg Series Vol. 13: Trouble No More 1979–1981,” a bootleg box set dedicated to Dylan’s stint with gospel music. And he just won the Nobel Prize in Literature. Anything else you would like to add, Dylan? Heinz Hall is yet another stop on what fans refer to as “The Never Ending Tour,” edging close to its 3,000th tour date milestone. Dylan recently invited Mavis Staples of the 60s soul power family, The Staple Singers, to open for him. Escorted by a stagehand, Staples brimmed with profuse energy that she was ready to share with the crowd. The band dove into a groovy “Touch a Hand, Make a Friend” fueled by Staples’ mighty vocals. Her voice is tremendous — no other artist can claim to really sing from the core like Staples. “Build a Bridge” is an elegant selection off her upcoming album, “If All I Was Was Black.” Donny Gerrard and Vicki Randle are two fine backup vocalists who added depth to each song while Staples delivered the intensity. She seemed to appreciate the audience chiming in. Staples poured everything she had out onto the stage. This was especially apparent as she breathlessly improvised the lyrics of “I’ll Take You There,” featuring the invigorating guitars of Rick Holmstrom. She had the psyche of a singing preacher, leading a sing-along with the Heinz Hall audience that quickly turned into a church choir. Putting Staples on the same concert bill as Dylan was an interesting move. While Staples inherently has the ability to rouse a crowd, Dylan takes a different approach, with the evening’s setlist being partly subdued in sound. Not a single light was on as the band took their positions, but just by staring at the stage you could sense that he had arrived. 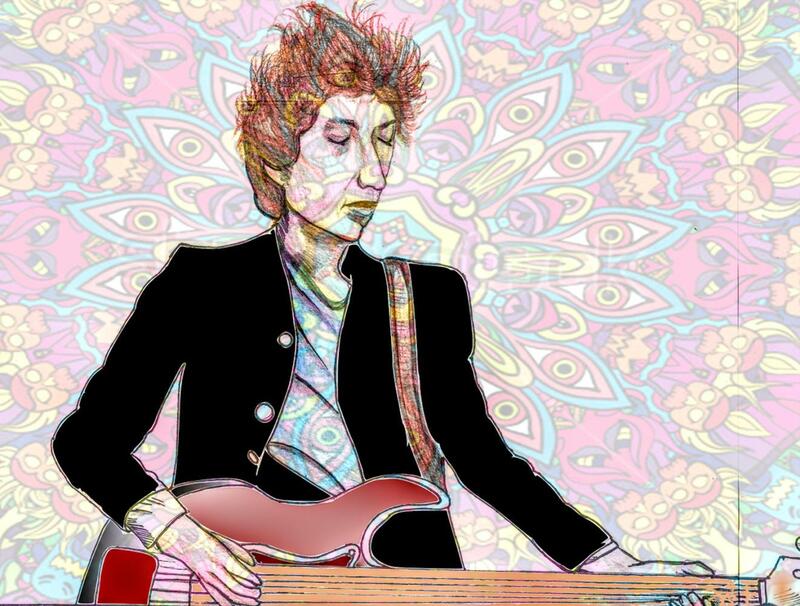 That’s the aura of Dylan. The band struck up a melancholy version of “Things Have Changed.” Dylan’s voice has aged like fine bourbon. Sure, he may not be able to reach the high notes, but his voice is croaky and gritty in all the right places, making him sound wiser than ever before — if that is even possible. He rearranged the entire composition of “It Ain’t Me Babe” until it was nearly unrecognizable, providing a more vivid and livelier musical experience. He has the confusing habit of reworking the melodies of his most popular songs to suit his personal tastes, and you either love or hate that about him. Perhaps he got bored hearing the same rendition thousands of times. Furiously battering the keys of a baby grand piano, he continued to bewilder the audience with “Highway 61 Revisited.” It’s an episodic song that rambles about several characters including a bloody-nosed man that lacks clothes, the owner of a thousand telephones, Abraham from the Bible and a pale-skinned young lady. Dylan’s performance of “Summer Days,” a fusion of bluegrass fiddle and toe-tapping rhythm, was a major highlight of the evening because the band seemed to be at their purest and fullest condition. As an older performer, Dylan has picked up an interest in crooner music. He borrowed Cy Coleman’s “Why Try to Change Me Now,” an exquisite rendition that had Dylan cradling the mic stand as if he were serenading someone. Yet it was a harrowing “Once Upon A Time,” previously recorded by Frank Sinatra and Perry Como, among others, that made people crave more of Dylan’s takes on traditional pop music. Dylan oddly prefers to sing these standards closest to the rear of the stage, only moving closer when performing his originals. Is he uncertain of how the audience will react to this ’50s jazz obsession? The regal beauty in these performances is something Dylan should not try to hide. Dylan and his band made their exit, though an encore was inevitable. In what seemed to be a matter of seconds, the ever-evolving songwriter returned without saying a word. There was no place for small talk during a finale. The striking instrumentals and scenic arrangement given to “Blowin’ in the Wind,” was completed by Dylan’s longtime hope for a place where peace can thrive. He left Heinz Hall with the trippy, ominous “Ballad of a Thin Man,” containing a baffling message that has stumped even the sharpest of scholars. Some things just never change.